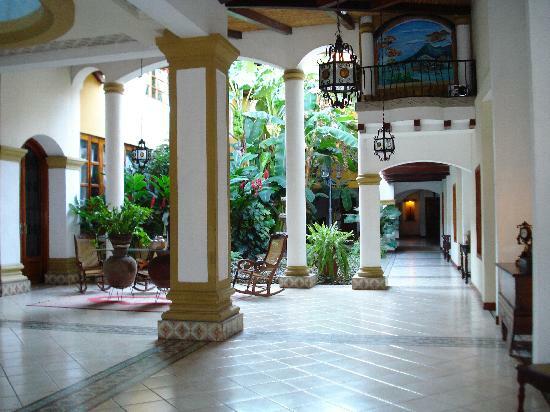 The Hotel Alhambra founded in 1953 is located at the west side of the Central Park of Granada, only a short walk away from Lago de Nicaragua (Lake Nicaragua), and close to most of the interesting places of the city. 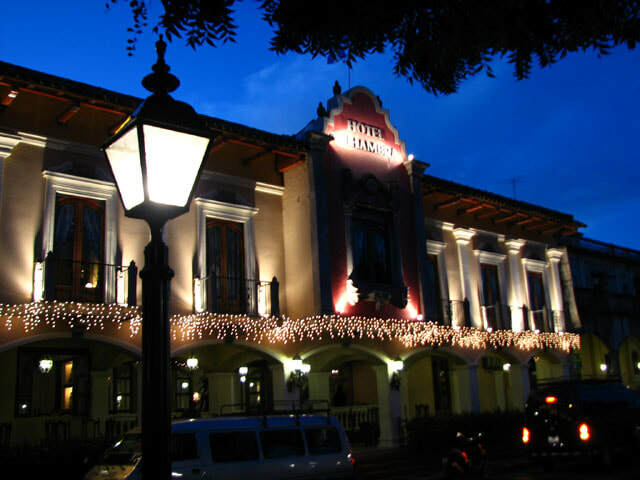 The hotel exudes a colonial and neoclassic atmosphere, which complements the architecture and style of the city. In the lobby of the hotel, you will find beautiful domes and columns encircled by four corridors with ceilings made of reed. You can admire small details like the painting of San Miguel Arcangel, antique furniture of the colonial era, Nicaraguan crafts decorations, in a natural ambiance of plants, flowers, and water fountains. The standard rooms come with either king, queen, or full beds. More spacious and open than the standard rooms, some of these have balconies overlooking the central park or facing the tropical gardens. Come in a variety of shapes and sizes, and each one includes an elegantly furnished sitting room and minibar with refrigerator. 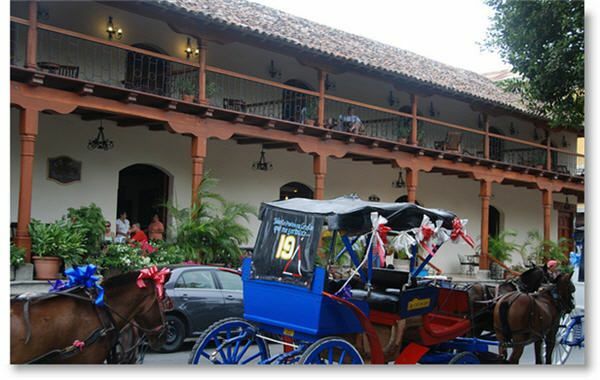 The exquisite decor is an exceptional display of our colonial culture and will be the finishing touch to your experience here in Granada. 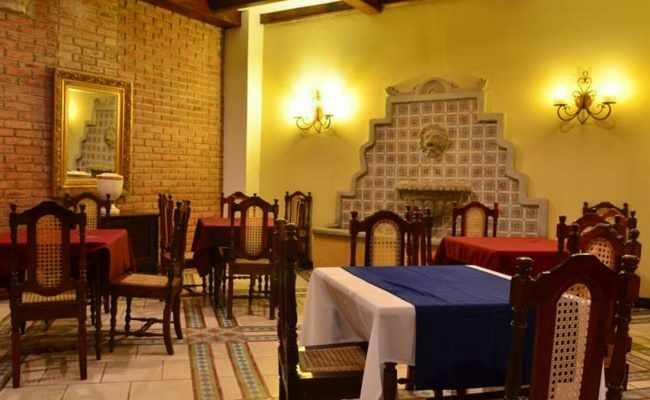 ​** All rooms; standard, superior and deluxe offer; hot water, air conditioning, closet, cable TV, safe, telephone, & free WiFi.